Dr. Elika Derek graduated the medical school from the University of Illinois College Of Medicine and did her internship at the Harbor- UCLA Medical Center. She is specialized in general surgery and board certified in surgery. 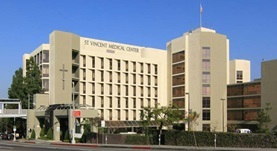 Dr. Derek has been in practice for more than 6 years and is affiliated with the St. Vincent Medical Center. During her career, she has also contributed to 2 publications of medical interest. Dr. Elika Derek has contributed to 2 publications. Derek, E., Dhanireddy, K.; Curr Opin Organ Transplant. 2012 Dec. Combined surgical resection and radiofrequency ablation as treatment for metastatic ocular melanoma. Derek, E., Matsuoka, L., Alexopoulos, S., Fedenko, A., Genyk, Y., Selby, R.; Surg Today. 2013 Apr.